BHR Hollywood Reports.........In 2015, TLC started a Kickstarter campaign to fund the making of their fifth and final album. Now, they’ve announced its release date. According to Diggins, the album was delayed for a variety of reasons. “When we decided to do the album it was based on a number of emotional decisions and one of the biggest was how you inspired Tboz and Chilli by your emails and texts asking them to do another album,” he wrote. “At the time we had no music, no producers, no writers, and a few ideas. We also were in the middle of rehearsal’s for TLC’s first arena tour since The FanMail Tour and therefore on the road for most of the year. 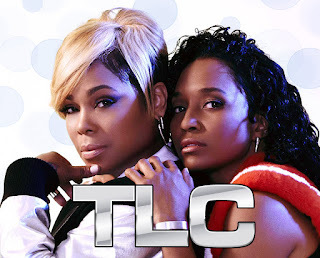 It was very important to establish TLC’s touring credibility and as most of you saw TLC live I am sure you agreed that we accomplished that goal. It took a lot more time to coordinate schedules with writers, TLC’s executive producer Ron Fair and recording sessions than anticipated. 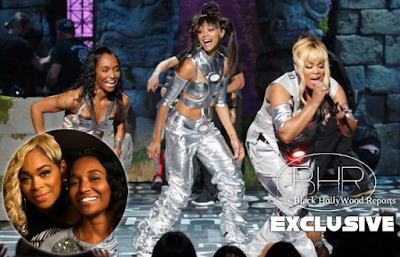 I could go on in more detail to explain how TLC’s touring, schedule, writing schedule and producing schedule was delayed but the simple fact is that Tboz & Chilli were inspired to make a record that they could be proud of and they would not settle for less and sometimes you just cannot rush art.